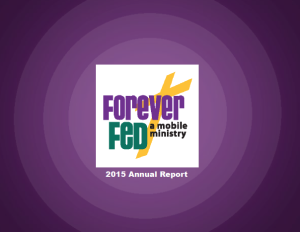 Forever Fed is much more than the services we offer to families in need. Our job is to seek out and support God’s children who are often passed over, forgotten, or invisible to main stream society. 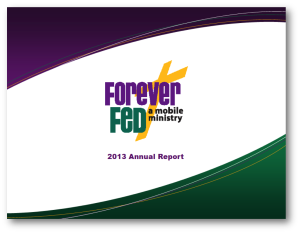 We minister to under-served people regardless of age, ethnicity, gender, disability, political beliefs, or religious affiliation. 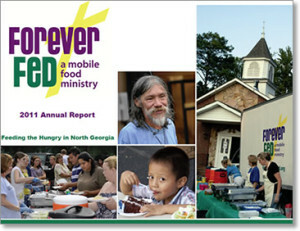 In 2010 Bob and Susan Vanderheyden had a heart for starting a Soup Kitchen because there was nowhere struggling families could go to obtain a prepared meal in Cherokee County, GA. They began researching locations for a soup kitchen but each location fell short of expectations. Cherokee County, home to many small impoverished neighborhoods, has small pockets of poverty interspersed across 432 square miles of territory and has very limited public transportation. One stationary location would only serve one small area and they had dreams of feeding many families. 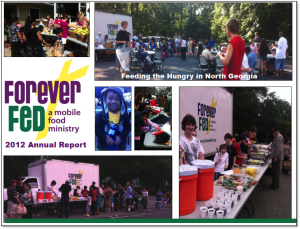 In August 2010, after much prayer and with the support of a fantastic group of community leaders, Forever Fed, a Mobile Food Ministry was born. 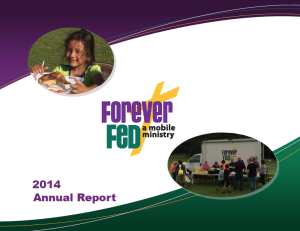 Since that time God has grown our ministry from serving prepared meals to also include a grocery food box distribution, a mobile food pantry, a mobile clothes closet, and the distribution of gently used children’s books. Because we travel to communities experiencing high need we are always growing community awareness. There is no desk, building, or lack of transportation as a barrier between us and those we serve. Our Volunteers witness the struggles of their community first hand, and the families we serve learn there is someone in their community who cares and understands their situation. Our style of serving in consistent locations on the same day each month has allowed us to gain the trust of the families we serve. We’ve proven we can positively affect struggling communities by making small and consistent positive investments of time, energy, and physical resources. Walls of mistrust are being torn down and replaced by warm hugs, encouragement and joy. Neighbors from all socioeconomic levels are getting to know each other and growing in compassion for each other as well. Our most bountiful fruit is knowing children, who often lack the basic necessities of life, are experiencing the unconditional love of Jesus Christ. Together we celebrate life and Glorify God. Do we preach the Gospel at our events? Actually, most of the families we serve already know Christ, they’ve just forgotten how precious they are in His sight. Our service is our testimony of His love and it’s in “the going” that disciples are made.